Ships of Mercy reveals the true heroes of Smyrna, forgotten by history. 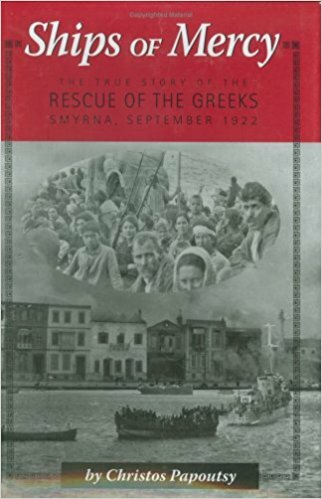 It is based on more than ten years of research by the Papoutsy's who traveled around the globe to document the rescue of hundreds of thousand Greek refugees on the Smyrna quay in September 1922. After more than a decade of preparation, this book uncovers surprising answers and displays previously unpublished materials. Vintage photographs, exhibits, naval war diaries and captains' logs appear for the first time in the pages of this volume. "Ships of Mercy" dispels common myths about the evacuation of the refugees and documents clearly the real saviors in this enormous tragedy.